Time for a flourish for one of the greatest riders and personalities in the motorcycling world. Gio Sala does not just remind me of his exploits behind the handlebars. Whenever I see this permanently perky Italian, it also makes me think of a plain old washing machine. 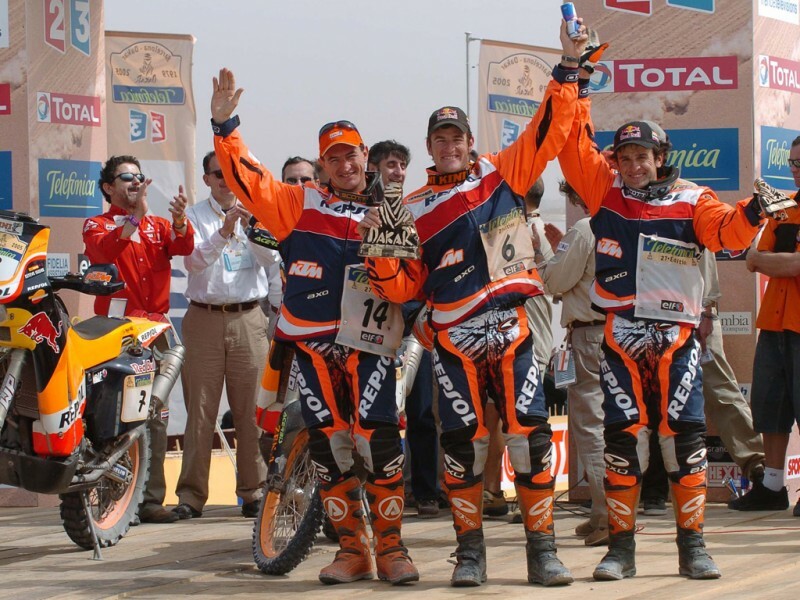 The careers of Giovanni Sala and KTM took off virtually in parallel flight. For well over a decade, the man from the Enduro stronghold of Bergamo and the KTM Offroad department rocketed forward like crazy. 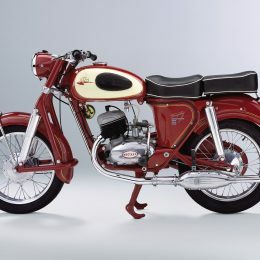 As a successful racer, Sala was also primarily a test and development rider. READY TO RACE in its purest form. There wasn’t a single bike in that boost period that did not pass through his capable hands. 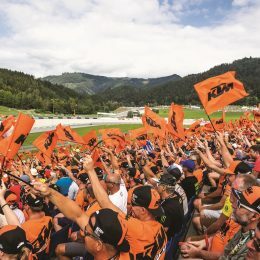 Gio, who was never averse to a good party, wiped out the elite of the Enduro world every race weekend – no matter what engine capacity you threw at him – but come Monday he was already powering up a steep slope on the next production project. Unbelievable fitness, and a talent for motorcycle mastery shared by only a very few contemporaries, saw Sala take no less than five World Championships (1993, 1994, 1995, 1998, and 1999), the coveted Gold Medal in “Team Italia,” and a permanent place in the Racing Hall of Fame. There is only one thing that Giovanni Sala is not good at to this day: saying “No”. Sala boldly stepped forward when the spectacular Rally-LC8 project was proclaimed. Still looking pale after initial tests with the 200km/h top-speed desert express, Gio showed all of his skill on the XXL Dakar stages. 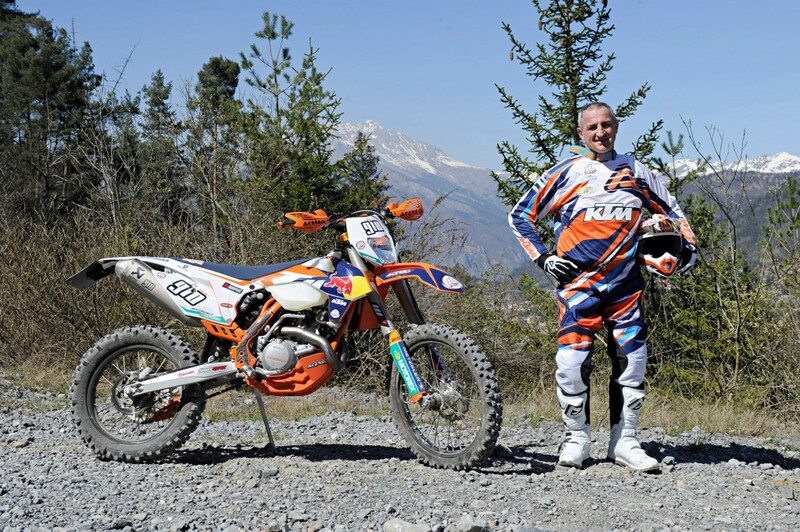 Several years the fearless Italian works rider still started for the official KTM team, securing first places in some stages and continually providing the most valuable development input and backup for Marc Coma, among others. “Si” rather than “No” was also the stocky Sala’s response when he heard the word “Erzberg” for the first time. At the peak of his riding career at the time, he battled the indomitable iron block in Austria into submission in his 1998 victory. And that takes us nicely back to the topic of the “washing machine”. As if many-times champion, Gio Sala, had not already personally turned over almost every stone on the planet with his rear wheel, he didn’t shake his head when, in 2006, he was asked whether he would contest Erzberg on the 950 SUPER ENDURO. Like I said before: wherever off-road and action meet, Sala is never far away. Giovanni capped off all the madness. 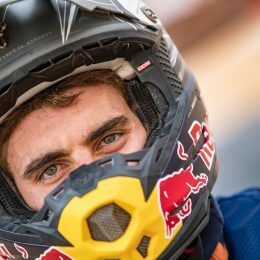 Tackling the prologue to the Erzberg Rodeo with a 100PS, two-cylinder machine weighing in at almost 200kg, is something that lesser mortals might also dare, but racing this machine seriously in the Red Bull Hare Scramble on the Sunday, is something that only one rider in the world has endeavored to this day: Gio. But what does a normal person do when they get home from Erzberg in the evening? Right, bundle themself off to the shower and their clothes into the washing machine. Followed by a chilled beer. Fizz. Flash – Sala – Pierer – the check point card – it suddenly hit home. F***. I dived over to my trusty Bosch washing machine, the words of the KTM CEO ringing in my ears, and fished the card out of the drum. Hallelujah, I could hardly believe my eyes, Sala’s ticket had survived the short wash cycle! S-A-L-A – still easily legible. Otherwise, it would have been a difficult trip to KTM headquarters on Monday morning for me. Almost a decade later, you still see Mr Sala on the saddle of an EXC. 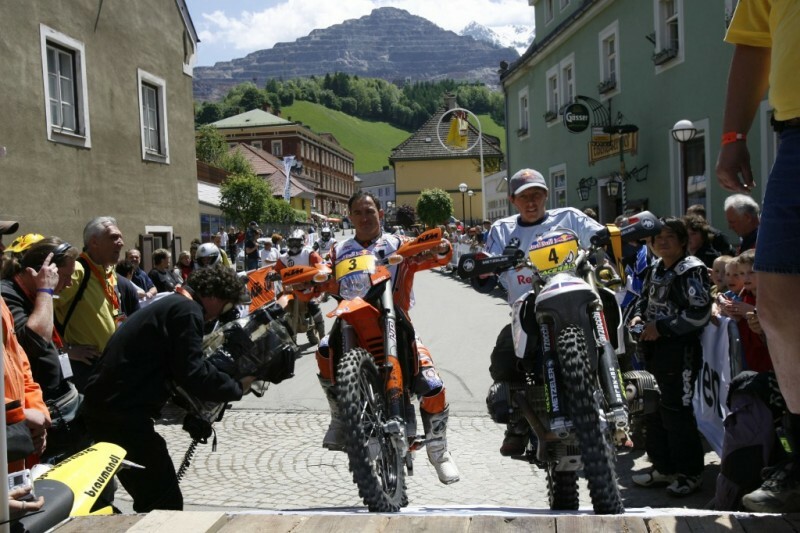 Among other things, he is an FIM commissioner and responsible for the Enduro World Championship courses. Although his physique – as you would only expect – may no longer be the freshest, the 51-year-old is still more comfortable and more at home on a motorcycle than most of us on foot well into 2015. And the mischievous grin of this off-road legend is broader than ever.